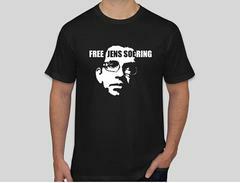 Jens Soering - Criminal Injustice? Despite mounting evidence of his innocence, the state of Virginia has again refused to parole Jens Soering. A former honors student at UVA, Soering was convicted of killing his girlfriend’s parents in 1985. He has spent more than 30 years behind bars, trying to prove his innocence. The parole board is charged with freeing people whose release would be compatible with the welfare of society – someone who would live a law-abiding life. 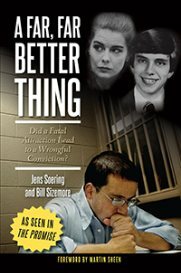 Jens Soering has been a model prisoner – written ten books behind bars and organized a meditation group, but the parole board cited the seriousness of his crime in refusing to grant parole. Soering is frankly baffled, since a growing body of evidence suggests he did not kill Derek and Nancy Haysom. The state considers it dangerous to allow a reporter to record inside a high-security prison, so we spoke with Soering by phone. The parole board has offered no further explanation, but a pardon request remains before Governor Ralph Northam. After working on the case, Liberty University Professor J. Thomas McClintock is hoping to start an Innocence Project there, and at the Virginia Festival of the Book, a panel called Criminal Injustice – Bias, Incompetence and Excess is expected to discuss Soering’s situation. Participants include journalist Bill Sizemore who has written extensively about the Soering case and best-selling crime writer John Grisham.